Tibetan netizens are really having heated debates about Losar, Tibetan New Year celebrations. 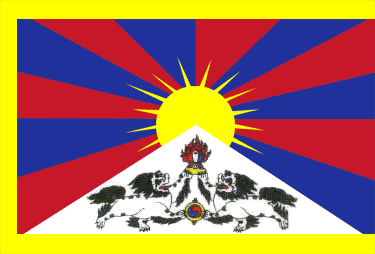 The Tibetan language internet forums and blogs are full of posts diccussing the issue. Most of the posts are opposed to the celebration of Losar this year. There are two points about Losar, the first issue is whether Tibetans should celebrate Chinese New Year or not and the second issue about whether it is appropriate or not to celebrate in light of last year’s events. Some of the posters argue that particularly in Amdo, that Chinese New Year has always been celebrated and this year is no exception. However, some netizens argue that all the Tibetans should institute a common Tibetan New Year and adopt the date celebrated in Lhasa. The posts are too numerous to translate, here High Peaks Pure Earth has translated two posts written in Tibetan entirely in verse. The first post (photo of the blog above) by a blogger named Cham med sha (khyams me zhags) is titled ‘This year, No Losar for us’ (nga tsho la lo sar med). The second post is on a blog called Kyi! Kyi! My Tibet (Kyi! Kyi! Nga yi bod). This is also written in verse, in a sarcastic style and the blogger writes “This is written on behalf of the people of Dechen”, (bDe chen pa’i tshab tu brigs). The title of the verse is “We are not Tibetan” (Nga tsho Bod pa min). High Peaks Pure Earth readers will remember that Dechen, in today’s Yunnan province, is now formally named Shangri-la by the Chinese and has become one of the major tourist destinations in the area. Now, Tibetans have modified the name and added an adjective Khu sim meaning “silent” to the name. Khu sim Dechen (Silent Dechen) is used on account of the fact that last year, Dechen was one area where there were no protests. Hence the satirical tone of the verse. Cast them out from the Tibetan race. These people are really as fickle as butterflies. Can you hear, my heartfelt friend? No Tibetan has had a genuine Losar since 1959. Celebrating under the terror of the Chinese Communist Regime or celebrating Losar in a foreign land. Losar ceased to exist since the occupation in 1959 whether we know this or not. Lets remember our lost brothers and sisters on March 10th and make this the greatest demonstration of all times. The injustice that we are faced with has not stopped. Why should we put on this fake smile on Losar? Why should we give the Chinese government the satisfaction of their decades of brutality on us by smiling & celebrating Losar as if nothing cruel has happened to us, in our land, Bhoe. We will not celebrate because we are all Tibetans, suffering under the same tyranny of Chinese government, whether we are in Bhoe or driven in exile. We will stand together through suffering and happiness.